Broker Associate, Future Home Realty, Inc. Since 2005, Cyndee has helped hundreds of families buy and sell properties especially along our waterfront and is a proven leader in the Tampa Bay real estate market, consistently ranked in the Top 3%+ of all local Realtors® and was awarded the first ever District 6 Leadership Institute Hall of Fame Award of over 20,000 Realtors for her leadership and service to her clients, peers and her industry. 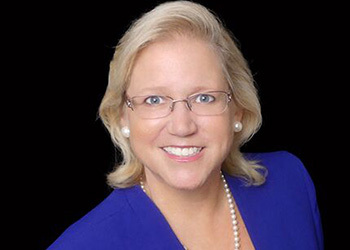 Cyndee believes in giving back to our industry and members and is the 2020 Chair for the Pinellas Realtor Organization’s 9,000 members and is also active as a Director for both NAR and Florida Realtors. Cyndee is a proven real estate innovator and implementor being recognized as a pioneer and trainer on Video Testimonials since 2006 and continues to utilize video and social media to connect with and help her clients and peers along with strong “old school” face to face things like her weekly client meet-up, PinellasEats for the last 9 years. Cyndee believes that while many buyers, sellers and Realtors® in today’s real estate market think it’s all about getting the best price, Cyndee believes it’s so much more than that. It’s caring for the people they help and how you get there that matters most. In today’s real estate market, it’s always the last 100 feet of each sale that determines success, failure, and referrability. That’s why 95% of the people she helps are repeat clients and new clients introduced by those that have been helped by her in the past. Cyndee wrote and published her first book, “Secrets to Happy Home Selling” in 2017 to help set home sellers to prepare for successfully selling their home. Cyndee is also one of three One-to-One Coaches with By Referral Only, coaching and training other successful mortgage and real estate consultants around the country.